They were a favorite and I'm sharing them again with bigger, brighter pictures. Next I taped the print-out to card stock and used my craft knife to cut it out. And it was time to stencil. An oil based pot paint was used to get a shaded effect. 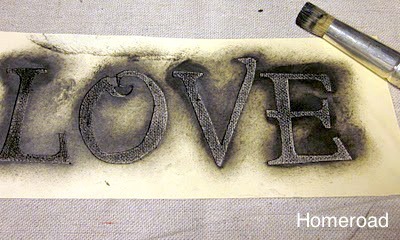 I lifted off the stencil and let it dry overnight. 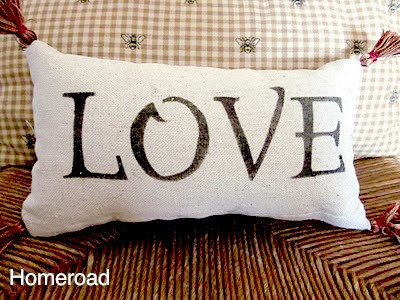 I sewed around the pillow leaving one side open. 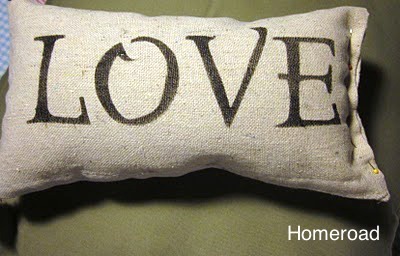 and hand sewed the final side of the pillow. 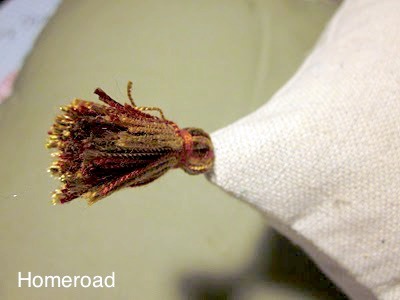 I sewed tassels on each of the 4 corners of the pillow. While I was at it I made 6 to sell as Valentine gifts! Wouldn't you just love to get one for Valentine's Day? All 6 sold on my Etsy Shop! 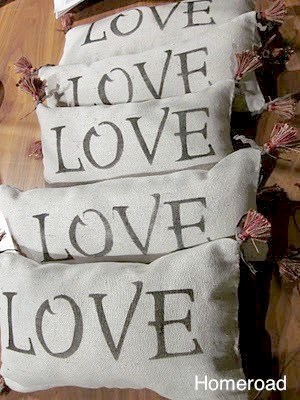 love,love,love,love your pillows! :) just too cute! Very cute! I have tons of drop-cloth left and this would be a cute project. 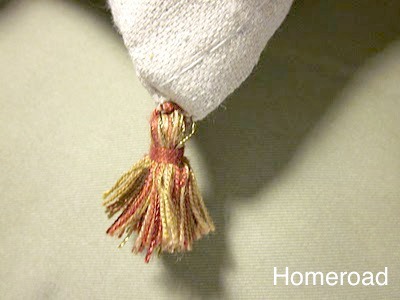 I love the tassels, great touch! 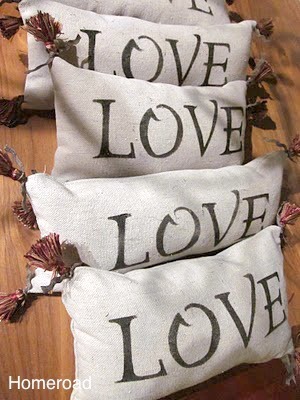 Lovely little pillows! I love its size and the tassels - cute! Thanks for sharing this project Susan! It's no surprise they all sold in your shop! Very cute and clever! Sweet and so simple! 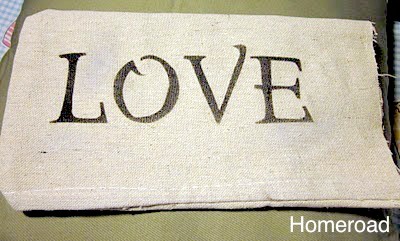 Do you use a fabric paint?